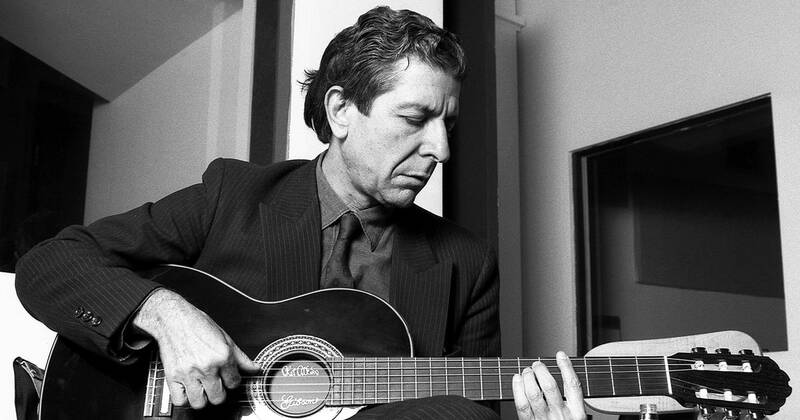 Leonard Cohen died yesterday. He was 82. This is not a sad post though, because when a an artist leaves a lifetime of beautiful work and parts the world at an old age without drugs, suicide or tragedy it’s something to be celebrated. I wrinkled my face up because I am a control freak, and said I wanted some random slow country song I was currently obsessed with at the time. “Go home tonight, listen to it and then tell me what you think,” she replied, ignoring my stubborn streak. That night I went home, opened up Napster (because hello 2003) and downloaded Rufus Wainwright’s cover of Leonard Cohen’s Hallelujah. It’s, at least in my opinion, close to the perfect song. There are several versions of the lyrics (all worth a listen to) and countless covers. That one suggestion from the group project started what became a lifelong love for Rufus Wainwright’s music and subsequently Leonard Cohen’s lyrics. Searching for more of Rufus’ music, I picked up a soundtrack to the documentary “Leonard Cohen: I’m Your Man“. Originally I added the music to my collection because of Rufus, like his cover of Chelsea Hotel No.2 which is about Cohen’s relationship with Janis Joplin. I quickly realized though, that beautiful lyrics and honest storytelling were what made the covers on this soundtrack special. Antony covering If It Be Your Will is one of the most hauntingly beautiful songs I have ever heard. Who hasn’t felt simultaneously completely wrecked and devoted to a person they love so completely? Finally by this time I began to wonder (and I’m sure you’re already thinking… uh Lauren you know this guy was more than just a songwriter right?) who this Cohen person was anyway. Forgive my ignorance, but it’s the crooked path I often take in discovering new things. When I did hear his voice, it wasn’t the melodic expression I usually turn to but in someways was better. I heard the breadth of his life represented in the words of his lyrics. Cohen’s voice was deep, dark and memorizing – at least to me. Today I celebrate him, and thank you for indulging me while I share that celebration with you. It’s a good reminder to me in light of what I’m going through and the state of the world right now, that often the best we can hope for is to leave a thumbprint on the world. Whether through music or writing or art or compassion, we should strive to leave something left worth celebrating. If I can create a fraction of the beauty that Leonard Cohen left behind yesterday, I’d consider that a life well spent. He was a rare and special person- a true artist who could turn his thoughts and feelings into lyrics that took your breath away. Songs with lyrics that people can relate to, are typically the ones that are popular at their beginning and around for a very long time. I agree that an artist leaving behind such an amount of work to be appreciated, at an old age and of natural causes is something to be celebrated indeed.